5G is coming. That's a line you've no doubt read countless times by now. But just as it begins to ring false (like a wireless tech version of The Boy Who Cried Wolf), it's also more accurate than ever. 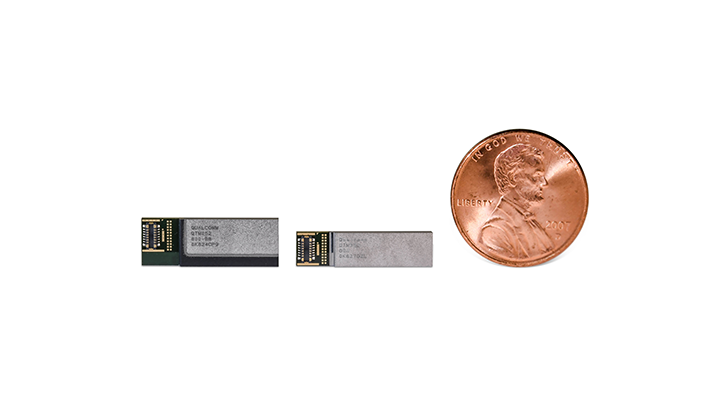 In July, Qualcomm revealed new antenna for mmWave spectrum — the finnicky, high-frequency stuff that's crucial to 5G. These antenna modules were actually small enough for practical use in smartphones, a major milestone. Today at its 4G/5G Summit in Hong Kong, the chipset maker announced that it shrunk a version of those antenna modules by 25 percent, and that consumers can expect to see them in action in commercial 5G devices in early 2019. Like the antenna modules revealed in July, though, only four of these modules will fit into a smartphone form factor, but the smaller footprint makes them easier for manufacturing partners to integrate. Like any good 5G antenna module, QTM052 features a number of technologies designed to make mmWave (short for millimeter wave) feasible in the real world. As mentioned above, it's a high frequency spectrum that is great at providing blazing fast throughput speeds, but is easily disrupted by just about anything, from trees to the weather. Beam forming, steering, and tracking, make it easier to focus mmWave spectrum tightly on its target (e.g. from a mmWave antenna on the side of a building to a mobile device or devices). 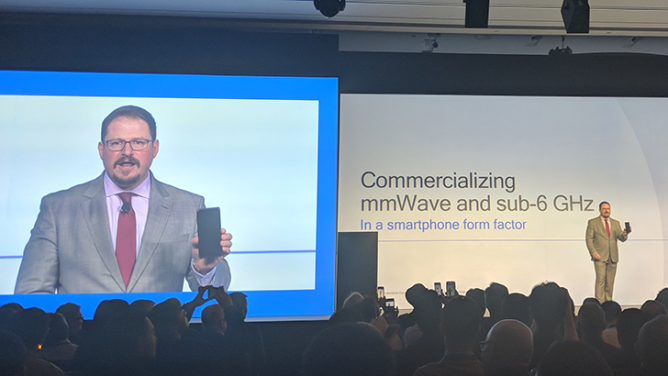 Qualcomm President Cristiano Amon showed off a 5G reference phone that includes the antenna modules during the summit. This is promising for carriers like AT&T and T-Mobile, both of which plan to use mmWave for early 5G deployments. Qualcomm states that the antenna modules, which pair with its X50 modem, support up to 800Mhz of bandwidth in the 26.5-29.5GHz; 27.5-28.35GHz; and 37-40GHz mmWave bands. But which companies plan to reveal — or at least tease — 5G smartphones in 2019? Companies like LG and Huawei, have already announced they'll throw their hats in the ring next year, while Qualcomm reported in February that 18 manufacturers were working on 5G devices for 2019 including Nokia, Sony, Xiaomi, and Asus. Adding to that, OnePlus CEO Carl Pei confirmed at the summit that his company expects to release one of the first, if not the first, 5G phones in 2019. In short, it seems like there'll be no shortage of manufacturers coming to market with a 5G device in the near future — here's hoping performance lives up to the hype. Full disclosure: Qualcomm paid for travel and accommodations to attend the 4G/5G Summit.